This kit permits mounting remote control cables to ES and newer 20, 25, and 30 rope and tiller electric Evinrude® and Johnson® outboards. To complete the conversion to remote control, you will need a remote control and two remote control cables. These instructions assume Snap-In® remote control cables will be used. 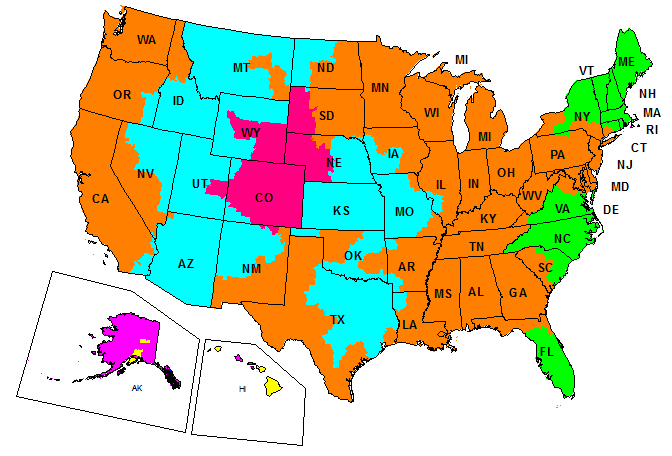 If you elect to use Long Life® (TYPE "O") cables, purchase Cable Adaptor Kit from your dealer. Give these Installation Instructions to the owner. The instructions contain safety warnings and other information vital to the continued safe use of the product. Retain these Installation Instructions with your Operator's Manual. They contain installation information for future reference. If boat has sensitive steering response. If boat is unusually light or fast. If there is less than 12 in. (305 mm) between the top of the driver's seat cushion and the gunwale. Disconnect battery cables before installing kit. Extend casing guides and lubricate outside of brass sleeves at engine end of both cables with Triple-Guard® grease. Shift motor to NEUTRAL position. Remove and discard cotter pin and washer from pin. Remove shift rod (A) from pin. Remove and discard bolt, washer, and spring washer (B) securing shift handle. Remove rod, handle, and grommet from lower cover. Install round plastic plug (22) into lower cover hole. Remove and discard the two plastic plugs from the starboard side of the lower cover. Mount the anchor bracket (8) to the lower cover making sure the large hole (C) is facing up. Install two screws (7) and locknuts (9). Tighten screws securely. Remove the two shift bracket mounting screws, washers, and square nuts (D). Discard the screws and washers. Retain the square nuts. Install spacer (4) and shift lever (3) to cam and shift shaft with screws (2) and retained square nuts. Tighten screws securely. Place shift cable through anchor bracket. Secure shift cable in anchor bracket by installing screw (10) and the coarse thread (#10-24) locknut (11). Tighten screw securely. Install shift cable casing guide on shoulder bolt of shift lever. 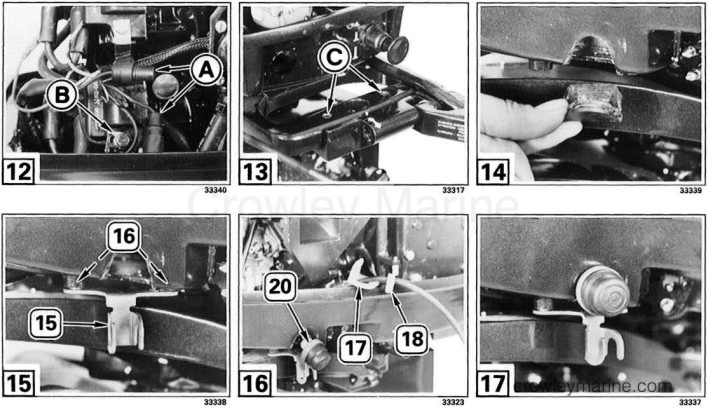 Install the flat washer (5) and the fine thread (#10-32) locknut (6). Do not substitute locknut. Tighten locknut securely. Remove and discard the shoulder screw and spacer (E) from end of throttle cable. 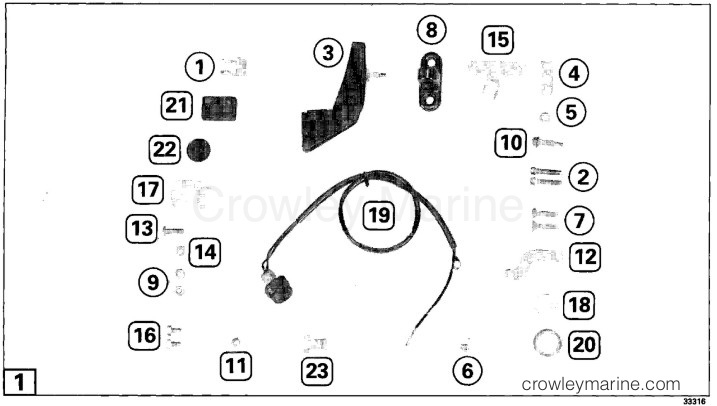 Remove and discard cotter pin, connector, and two washers (F) from throttle arm. Separate the 1-pin Amphenol connector (A) and remove the stop button lead from the plug using Socket Removal Took, P/N 322699. 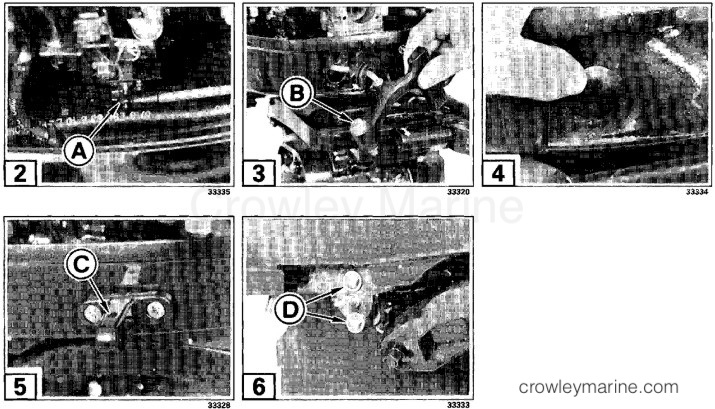 Remove the stop button ground lead from bottom ignition coil mounting screw (B). Note location of washers for later installation and retain the mounting screw. 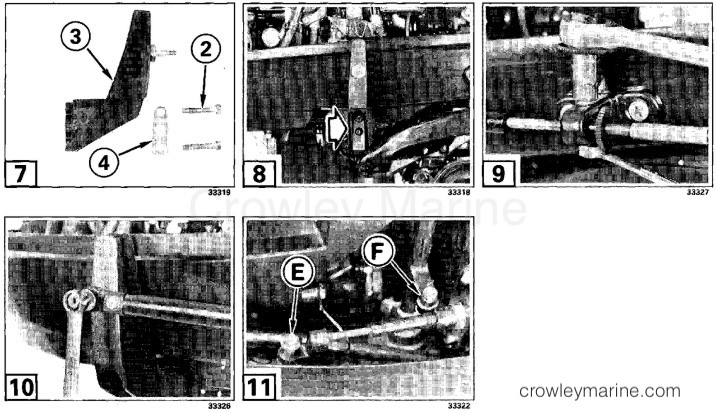 Remove and discard two steering handle bracket screws (C). Remove handle and pull the throttle cable and stop button leads through the grommet in the lower cover. Remove plug from lower cover. Install throttle cable lock bracket (15) to lower engine cover with two screws (16). Tighten screws securely. Install mounting ring (20) onto stop switch. Place retainer (17) and nut (18) inside lower cover. Route switch wires through motor cover, retainer, and nut. Carefully tighten nut on switch. Route wire back around motor to starboard side of lower cover. Secure stop button ground terminal to the bottom ignition coil mounting screw (D). Tighten screw to a torque of 48-96 in. lbs. (5,4-10,8 Nm). Using Insert Tool, P/N 322697, install the stop button lead into the plug. Connect the 1-pin Amphenol connector. Secure connector with wire retainer. Remove two exhaust cover screws (E). Install idle stop bracket (12) reusing the two screws. Tighten screws to 48-84 in. lbs (5,4-9,5 Nm). Thread the square nut (14) onto the idle stop screw (13), then install screw into the idle stop bracket. Install the throttle cable tension retainer (23) onto the lock bracket. Place throttle cable trunnion into bracket. Attach spring clip (1) by hooking onto one guide pin and turning until spring clip snaps over other pin. Attach casing guide to engine throttle arm and secure with spring clip. The trunnions on both remote control cables must be adjusted properly or operator may not be able to control direction or speed. 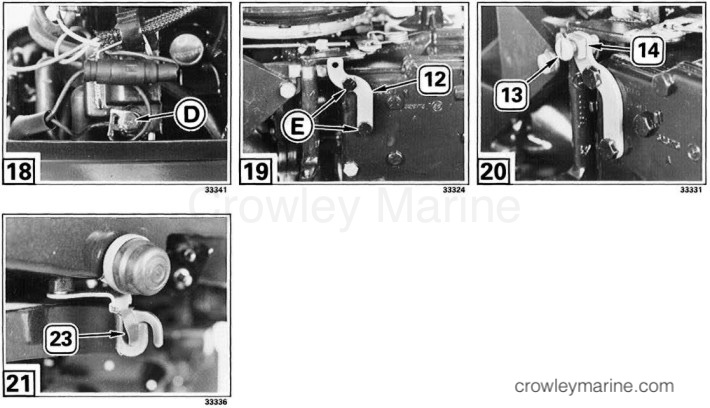 Follow the complete adjustment procedure as outlined in the Service Manual.